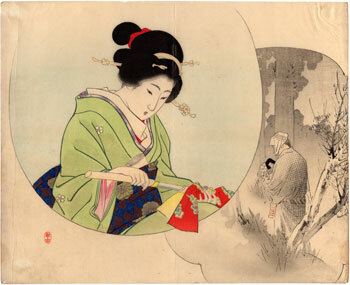 Polychrome woodblock print of the kuchi-e (口絵) type made in 1900 by the artist Kajita Hanko (梶田半古) as an illustration of the novel "Mitareyaki" (みたれ焼き), or "Looking Down", by the writer Fukuchi Gen'ichiro (福地源一郎), also known under the pseudonym Fukuchi Ochi (福地桜痴). 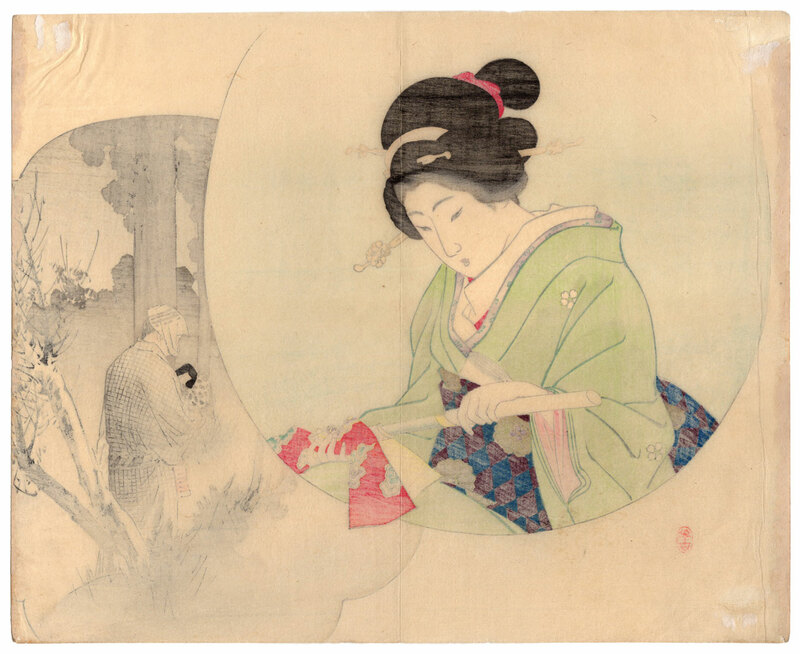 Kajita Hanko (1870 - 1917), husband of the female author Kitada Usurai (北田薄氷), was a unique hanga (版画) artist in the golden age of kuchi-e prints. He introduced, in fact, in the genre a fresh and richly emotional humanity. The print on Japanese washi paper (和紙), published by Shunyodo (春陽堂), despite the right signs of time is in good general condition.